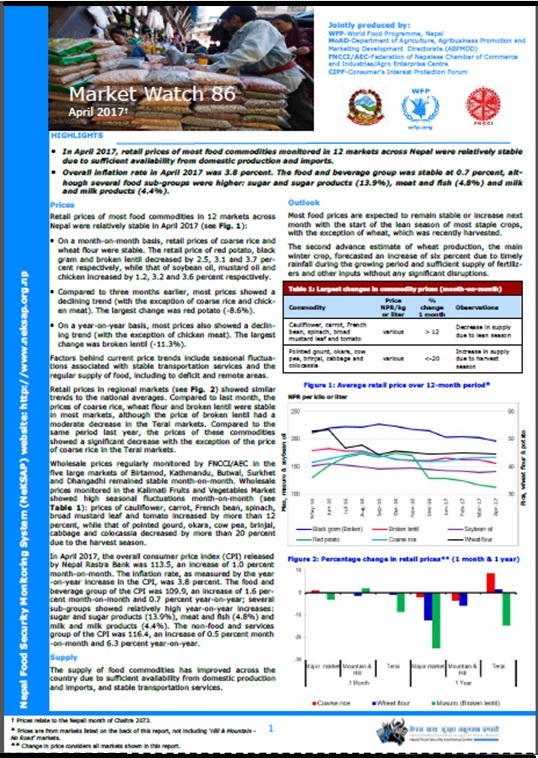 In April 2017, retail prices of most food commodities monitored in 12 markets across Nepal were relatively stable due to sufficient availability from domestic production and imports. Overall inflation rate in April 2017 was 3.8 percent. The food and beverage group was stable at 0.7 percent, although several food sub-groups were higher: sugar and sugar products (13.9%), meat and fish (4.8%) and milk and milk products (4.4%).